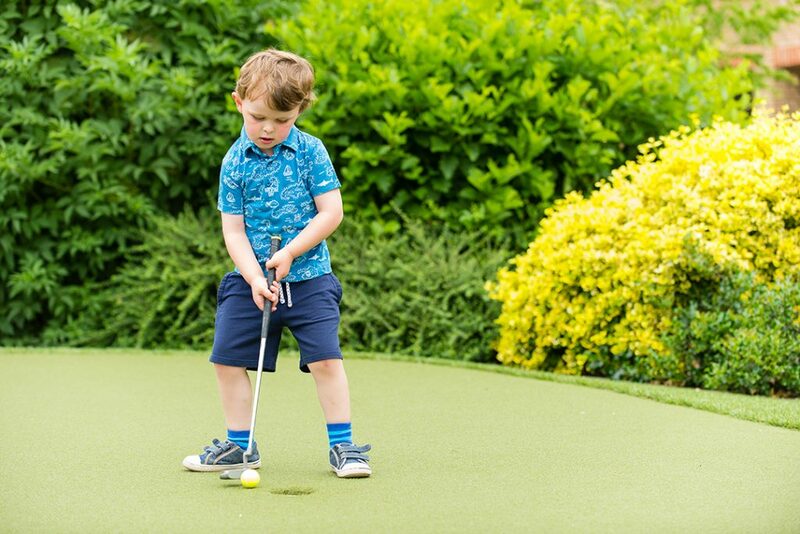 Our recently replaced artificial putting greens are made from a high specification nylon material, offering a much truer pace for putting practice. Sand is worked into the nylon fibres to provide a realistic look but most importantly a pure putting experience. This facility is also floodlit, allowing you to practice late in to the evening. And what is better, it’s completely free of charge to use. As a facility we have made a decision to use this investment as an opportunity to register with Cancer Research UK to run an annual fundraising campaign in 2018. 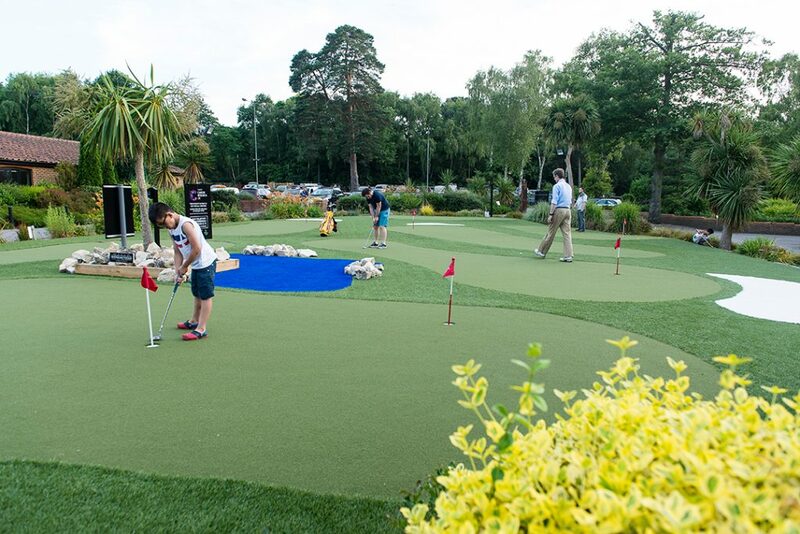 If you like the facility, we encourage visitors to make a contribution in the donation post on the putting green, will be recommending a voluntary £1 donation towards Cancer Research UK – Help us to raise as much money as we can for 2018. The old 18th green is home to a practice short game area and as such is extremely realistic, consisting of a variety of positions to practice from. 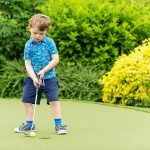 The main putting green is situated behind the 1st tee and is used mainly by players practicing before they play on the course. 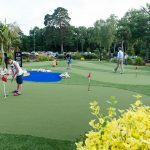 The all-weather artificial putting green was re-built in December 2016, offering a putting facility that would never be affected by bad weather, making putting practice available 12 months a year. Many scores at the end of the day will be determined by your success or failure from inside 100 yards. Practice and monitor your progress from bays 2-5 (ground floor) and 28-31 (first floor) to the target areas set out on the range. The flags are set into a 6ft square target for distances up to 50 yards and 8ft square beyond. Keep track of your progress and log how many attempts it takes to pitch the ball into each target area. On your next visit to the range, see if you can begin to improve on your numbers and begin to see your scores come down next time you’re on the golf course! The idea for this fantastic training drill comes from America by one of the world’s best coaches, Mike Bender. In 2006, Mike needed to sharpen Zach Johnson’s wedge game. Since outstanding wedge play is about controlling exact distance, Mike installed concrete blocks giving immediate feedback when a ball landed on them. During Zach’s first session it took him 168 shots to hit every block. After many months of practice, he set his personal record, hitting all blocks in only 50 shots. In April 2007, Zach laid up on every par 5, and birdie 11 of 16 par 5s to win the Masters. Zach is considered one of the best wedge players on Tour. The game is self explanatory. Hit the 30, 40, 50, 60, 70 and 80 yard targets on the fly. The goal is to complete hitting our 6 targets in sequence in the fewest number of shots. The Silvermere version is suitable for all golfers with larger targets and fewer of them. Ground floor Protracer monitors are put away at 9pm every evening.